We recently changed our name from the El Dorado Nordic Ski Patrol. We will be transitioning this website and revising printed documents to reflect this change. Our new URL is EBSP.org. 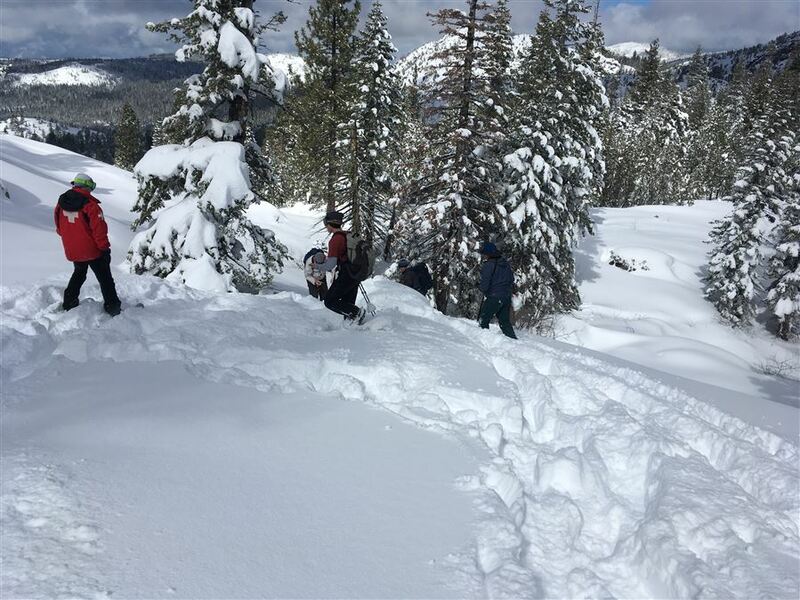 We are a volunteer backcountry ski and snowshoe patrol associated with the Eldorado National Forest. Our members come from many different backgrounds and experiences. However, we all share a love of the outdoors and of skiing and snowshoeing. We work together to assist the public by marking and maintaining trails, patrolling backcountry areas and providing winter-safety educational programs to the public. We train our members to become qualified patrollers, who are ready to help the public when the need arises. We pride ourselves in being a professional organization serving the public with our skills, and sharing our love of the winter environment. We welcome new members! If you have any questions about joining, contact us at membership@ebsp.org.